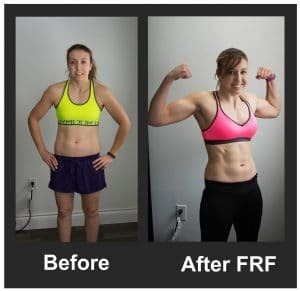 FRF Offers Workout Programs (including nutrition) for all levels of fitness. 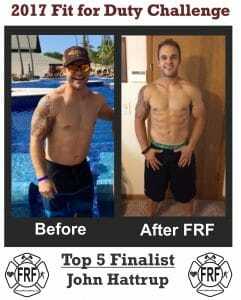 Thousands of Firefighters, EMTs and Medics use these Fire Rescue Fitness programs to get in shape, lose weight, get stronger, get leaner, AND perform better on the fireground and in LIFE. Join them! Watch the video and/or scroll down to find the right workout for your goal. 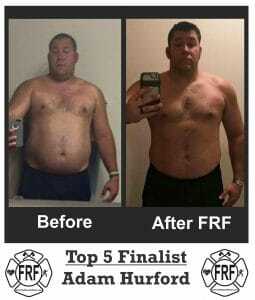 It Is TIME to GET Fire Rescue Fit! 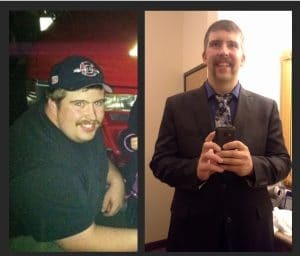 Need some motivation and coaching? 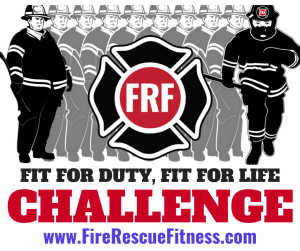 Try the Fit for Duty Challenge Workout Programs. The Challenge will run March 1st to April 30th. Not Interested in the Challenge? 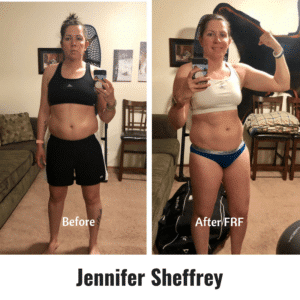 Look at the other great FRF Workout Programs. 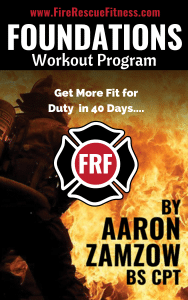 Turn Up the Heat and Become Fire Rescue Fit with this Introductory 40-day Program. Build a great fitness foundation with the foundation workouts. This is the perfect program to get you back on track with your fitness and nutrition. Start Here. 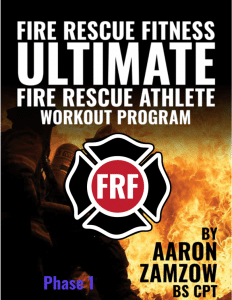 Discover the Ultimate Firefighter Workout Designed to Transform You into the ultimate Fire Rescue Athlete... 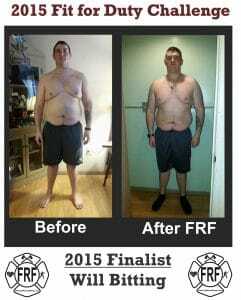 This is our most popular program and used by thousands of fire rescue athletes to improve performance- get leaner and stronger. 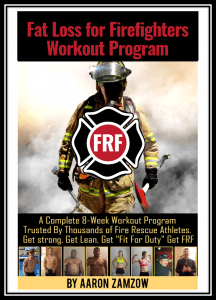 Get 8-Weeks of Metabolic Fire Rescue Workouts That Will Make You a Stronger and Leaner Fire Rescue Athlete. The Fat loss workouts will boost your metabolism, improve your cardiovascular fitness and help you burn calories. Get leaner and improve performance with this program. Don't know which program you should choose? Click the link below and send the FRF team a message. We will find the best program for you!